An interesting collection of paintings, furniture and décor showcasing the beauty of nature is going up for auction at Nye & Company on October 30. Although best known for his work with glass, Louis C. Tiffany (1848-1933) was an accomplished painter and studied fine art in New York and Europe. His favorite genre was landscape painting and his fascination with color and light influenced his later work with stained glass. 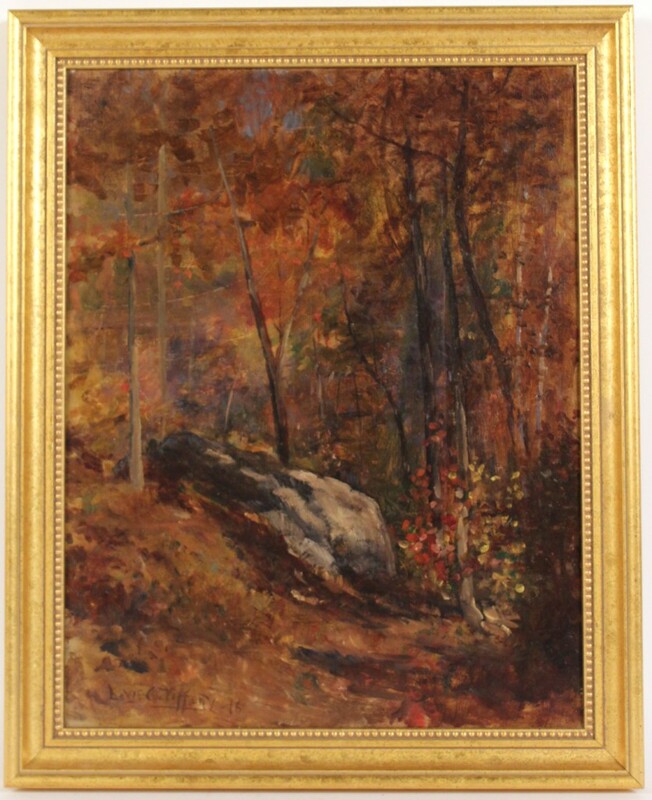 Woods Landscape depicts a thickly wooded forest at the zenith of autumn, with leaves in hues of orange, deep red, brown, green and yellow, likely in the Hudson River Valley or rural New Jersey. His work resembles Impressionist techniques and those of the Hudson River School artists, whose ethos was to capture America's Romantic pastoral landscapes as industrialism encroached. Palissy ware began in the 16th century with Frenchman Bernard Palissy, who avidly studied the natural world. He designed pottery with reliefs of wildlife and botany found in the marshes near his home in Saintonge, France. Once his talent was discovered, Palissy was brought to Paris where he established a studio because his rustic ceramics became extremely popular with European royalty. 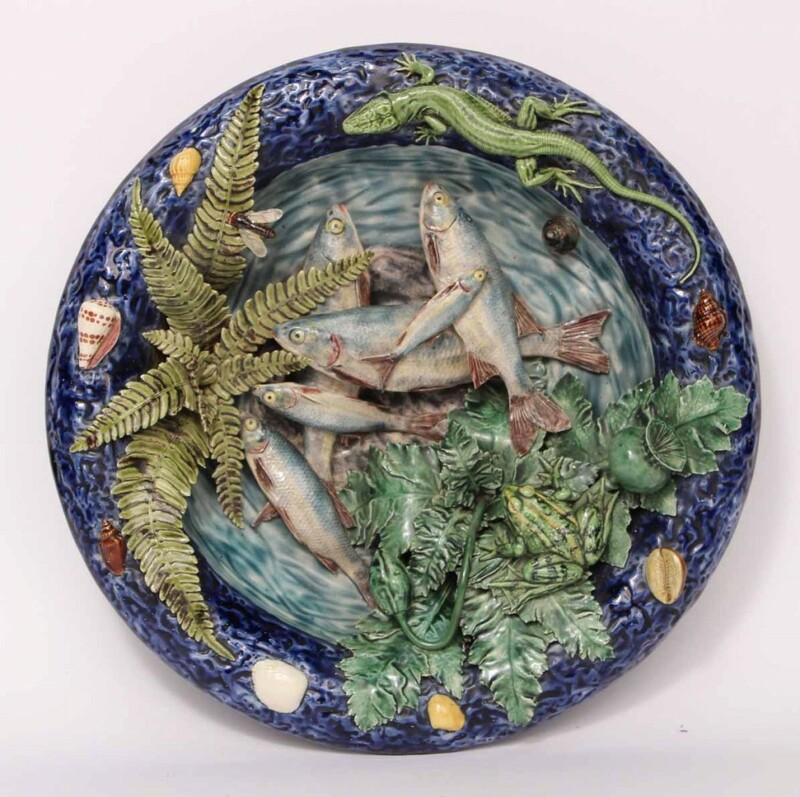 Ceramicist Geoffrey Luff, based in the Loire Valley, was inspired by the works of Palissy in 1993 and has been making faithful renditions ever since, featuring many of the elements that Palissy included in his original pieces, such as frogs, fish, lizards, plant leaves, shells and pebbles. In the mid 1700s, a professor at the Botanic Gardens of Copenhagen started pictorially documenting all of the native floral and plant species of Denmark in an atlas titled "Flora Danica". This effort was finished in 1883 and included over 3,200 individual plates. These elegant drawings inspired the Crown Prince of Denmark to order a magnificent dinner set with Flora Danica paintings on them as a diplomacy gift to the Russian Empress in 1790. In addition to this dinner plate set, a set of salad plates, bread plates, cups and saucers and platters in the 'Flora Danica' design are also available at the Nye & Co. auction. Wilson Irvine (1869-1936) was always inspired by the American landscape. 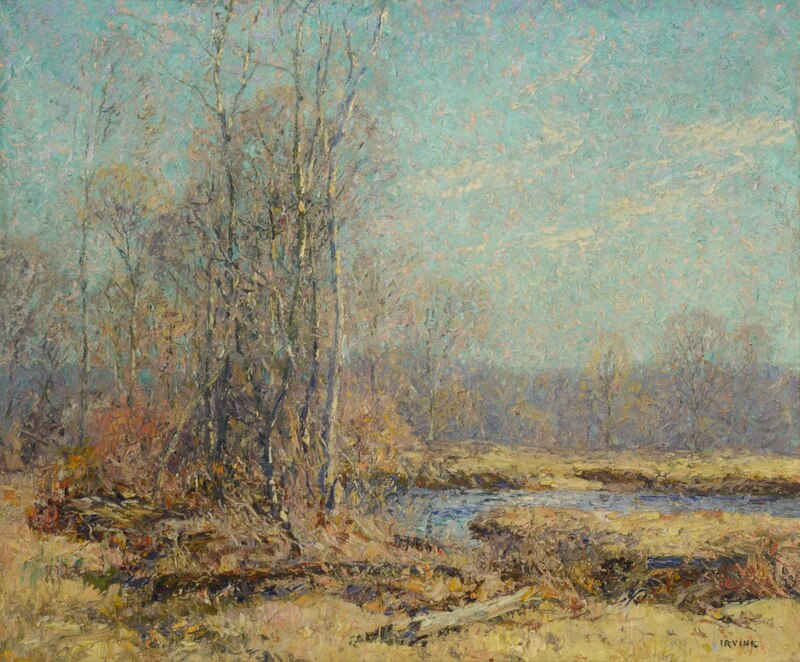 Born in Illinois, he frequently painted in rural Connecticut and Massachusetts and was a follower of the Impressionist technique: using small, quick brushstrokes, working in pastel and subdued hues and focusing on the interplay of light and color. Stream Drift was a typical work of Irvine's; he eschewed the more dramatic scenes for natural settings that one may come across while walking in the countryside where he lived. These Black Forest wood figures were first carved in 1800 in Brienz, Switzerland, where they became renowned for their realism and were collected by royals and wealthy connoisseurs. The bear was the most commonly carved piece, and this 20th-century rendition showcases the detailed attention to the fur and likeness of the face that these carvers achieved. 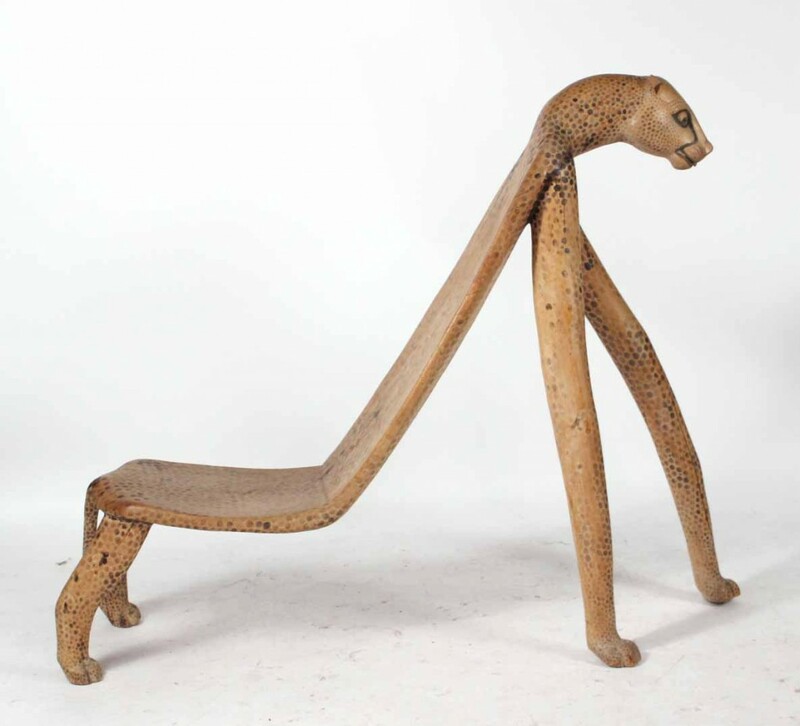 This unusual cheetah chair is an exaggerated interpretation of the cheetah shape. The lean bodies and long legs of the cheetah are engineered for high speeds, and here the spine and legs are elongated to create a reclined seat.